Edible plants, 19th Century illustration. 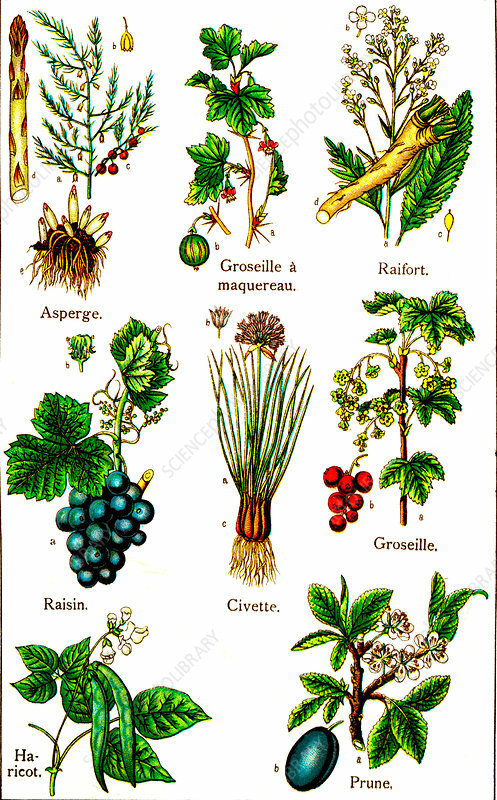 From top left: asparagus (Asparagus officinalis), gooseberry (Ribes uva-crispa), horseradish (Armoracia rusticana), grapes (Vitis sp. ), chives (Allium schoenoprasum), currants (Ribes sp. ), beans (Phaseolus vulgaris), plum (Prunus sp. ).